Ortho & Rehabilitation Nursing Course in Mohali – Want to pursue your ortho and rehabilitation nursing course in Mohali? Looking for a better career course after ANM/GNM courses? Then you can choose Mata Sahib Kaur College of Nursing which is a renowned nursing college in India. We are having the most experienced teaching staff and infrastructure as well. You will get the best knowledge during your ortho and rehabilitation nursing course in Mohali from our highly knowledgeable staff. Those who want a bright future career in nursing line can surely indulge themselves in this course. The medical industry is having a wider scope and is having maximum job opportunities. Nursing is the most respectful job and when you are enthusiastic to make a career in that profession, the work opportunity doors will open for the abroad too. But for that, great knowledge and skill are in need. Choosing the right nursing college will let you grow more easily. And if you are choosing ortho and rehabilitation course as a career course, choose the college wisely. 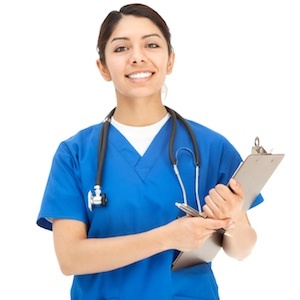 There are very few nursing colleges which are offering such quality courses. Mata Sahib Kaur College of Nursing is the one which is proffering ortho and rehabilitation nursing courses in Mohali. There are a number of nursing courses available. One of them is ortho and rehabilitation nursing course. You can pursue this course after completing your +2 or GNM or ANM course. This will add some more value to your resume and will also let you acknowledged with the best knowledge and training. The scope of ortho and rehabilitation nursing course is very wide and you will get more job platforms after ortho and rehabilitation nursing course completion. The ortho and rehabilitation nurse starting salary is really attractive for the high earning job seekers. This will increase your value for different job prospectus. And if you are looking for demand purposes, it will increase. Because health is degrading increasingly due to unhealthy lifestyle and no exercise. A number of ortho problems are emerging on a daily basis. And there is a scarcity of nurses at a global level. Consequently, job opportunities for ortho and rehabilitation nurses are very much high. Next is what you must be curious to know is ortho and rehabilitation nursing course eligibility. You must be eligible enough to go for choosing this career course. Following is the eligibility criteria for ortho and rehabilitation nursing course. You must fall into the age group of 17-35. Your age must not be below 17 and above 35. Physical and mental fitness is mandatory. You must have completed your +2 or must have done your ANM or GNM course with an optimum percentage. Good communication skills will also be helpful for your ortho and rehabilitation nursing career. You need to devote your one year for the course. So the ortho and rehabilitation nursing course duration is one year. Another major information for which you may be looking for is the course contents and work opportunities of ortho and rehabilitation nursing. This course will majorly train you about giving your nursing services for fractures, bone marrow transplants, rehabilitating the health of patients to function normally from a bad condition. There is much more you will be doing in this job. Ortho and rehabilitation nursing course contents will include diagnosis and treatment of pains, orthopedic problems, spinal cord, joint injuries, neuro-musculoskeletal disorders, skeletal tumors, prostheses, amputations, rehabilitating functions. There are several other things you are going to learn during this course. In addition, there are many other job roles which you can play. When you specialize in any field, your value and your need become high afterward. Therefore, take admissions for better nursing job opportunities. Why Choosing Mata Sahib Kaur College of Nursing for Ortho and Rehabilitation Nursing Course is a Better Decision? Aforementioned Ortho and Rehabilitation nursing course details are showing very well the scope and growth very well. But your study always plays a major role in putting a foundation for your future career perspectives. It will make you more competent for starting your ortho and rehabilitation nursing career more efficiently. For that, you will have to search for the best nursing college in Mohali. While searching for top nursing colleges in Mohali, you will find Mata Sahib Kaur College of Nursing among the list. We are offering a number of quality nursing courses at our college. And a number of admissions are there every year which is due to the best results we give. Therefore, you can prefer us as the best nursing college for ortho and rehabilitation nursing course in Mohali. Scroll down here to know more about us. Top nursing college in Mohali, Punjab region. Quality knowledge and training for ortho and rehabilitation nursing course. A number of quality nursing courses. Follows the norms and standards of PNRC and BFUHS. Best teaching and training staff. Promotion of other individual talents by giving platforms. So, the quality feature list of Mata Sahib Kaur College of Nursing is quite long. Therefore, choose us for the best ortho and rehabilitation nursing course in Mohali.